Elevating the standard for exceptional design and environments… as unique as you. Since the 1990’s, Serena Construction’s has crafted fine homes and communities throughout the Puget Sound area. Serena’s reputation for inspired design, extraordinary quality and attention to detail is what makes a Serena home an enduring value. The difference in a Serena home is simple. Irfan and Tahira Pardhan. They are the passionate force… creating every new home with the meticulous care and dedication they would give their own. In fact, they enjoy living in one of their Kirkland communities for just that reason. Serena Construction’s homes area exquisitely-melded together through an inspired combining of innovative architecture, premium materials, custom finishes and finely-crafted details… all ensconced with beautiful landscaping. 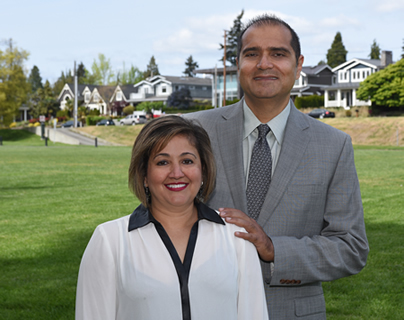 The Pardhan’s enjoy an active Pacific Northwest lifestyle and traveling. They are long-time supporters of worldwide health, education and economic development through the Aga Khan Foundation.